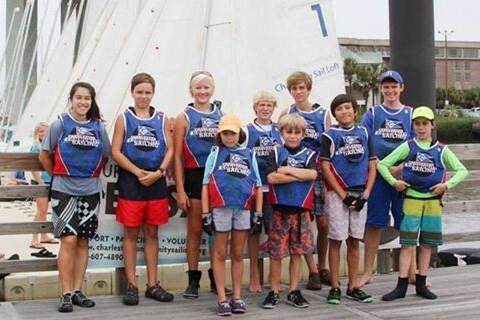 Fine tune your racing skills in our racing program, whether you sail an opti, open bic or 420 and get ready for the Charleston Yacht Club and Carolina Yacht Club Open Regattas! This course is designed to teach you the fundamentals of racing on a fixed keelboat. Lessons will be aboard a J24 which is the most popular one-design sailing vessel in the world and intermediate sailing experience is required. We follow US Sailing curriculum and our instructors are nationally certified. Sign up for this one week class. This C420 Race Class is an application based program that is designed for top sailors to train with our most advanced instructors for a full week at our sailing center. Intermediate racing experience is required, though C420 experience is not. Every great athlete knows that is takes dedication to perform at one’s best. Sailors will hone their skills while working with CCS’s top coaches and training against quality teammates during the week. This class is a great way to tune up before the high school and fall seasons. Minimum is 4, Maximum 12 sailors. Please complete the google document and our Program Director will be in touch with you shortly!